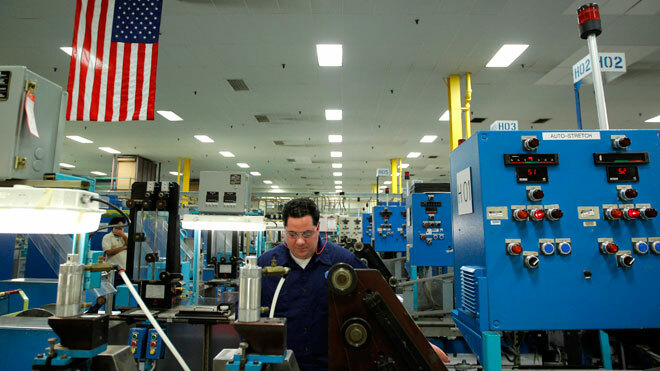 The U.S. manufacturing sector expanded in September, shaking off three months of weakness as new orders and employment picked up, an industry report showed on Monday. The Institute for Supply Management (ISM) said its index of national factory activity rose to 51.5 from 49.6 in August, topping expectations for 49.7, according to a Reuters poll. It was the first time since May that the index has been above the 50 threshold that indicates expansion in the sector. The forward-looking new orders gauge also rose to its highest level since May at 52.3 from 47.1, while employment gained to 54.7 from 51.6. Still, the rate of growth was modest and some components remained in contraction territory. Exports continued to shrink, though the rate of contraction was not as severe with the index rising to 48.5 from 47. Similarly, production rose to 49.5 from 47.2.